Some e-government -- paying taxes, recording of births and marriages, court information, etc. is now online. Connectivity at hospitals and medical facilities have improved -- 200 clinics and 190 pharmacies now have connectivity. 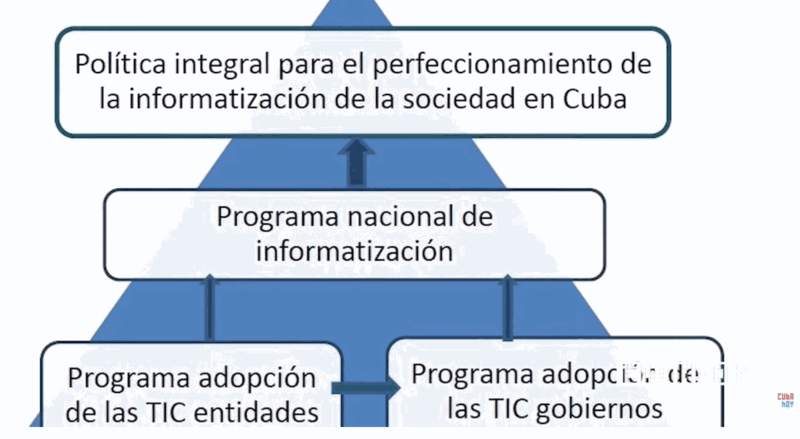 The speakers mentioned Cuban services like the Ecured encyclopedia, Redcuba intranet portal and search engine, Reflejos blog site, CubaEduca teaching site and Andariego maps, which are somewhat like Cuban counterparts to Internet sites like Wikipedia, Google, Wordpress, the Khan Academy and Google Maps respectively. González even mentioned Mi Mochila, the state-sanctioned offline competitor to El Paquete, which is arguably the largest private employer and most pervasive source of digital information in Cuba. 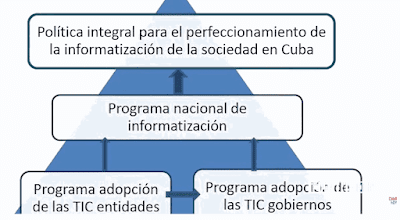 I say these Cuban services are "somewhat like" corresponding Internet services because, given Cuba's population and resources, they can never hope to match the scope and functionality of their global counterparts. For example, Ecured is the closest of these services in design and function to its global counterpart, Wikipedia (both are based on the same software), but the number of Wikipedia articles and size and variety of its editor community are not comparable. Similarly, Redcuba is limited to the national intranet rather than the global Internet. Copyright considerations also limit the eventual scope of the national intranet. For example, El Paquete distributes pirated Internet material. Some intranet services may also depend upon pirated software. For example, Andariego uses ESRI's ArcGIS geographic information system software -- do they pay for it? Well, that is what jumped out at me -- you can watch the videos for yourself and see what strikes you.